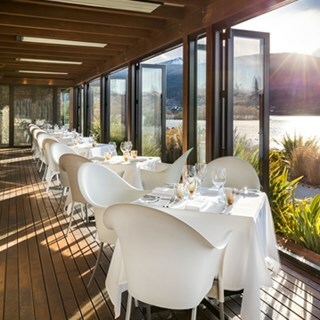 Our Signature lakeside restaurant, the Wakatipu Grill, at the Hilton Queenstown Resort & Spa reflects the best of New Zealand's culinary heritage. The cuisine is inspiring with provocative takes on New Zealand flavors. Vast windows, an open kitchen and rotisserie, along with two circular slate fireplaces lend even more drama to this magnificent space. 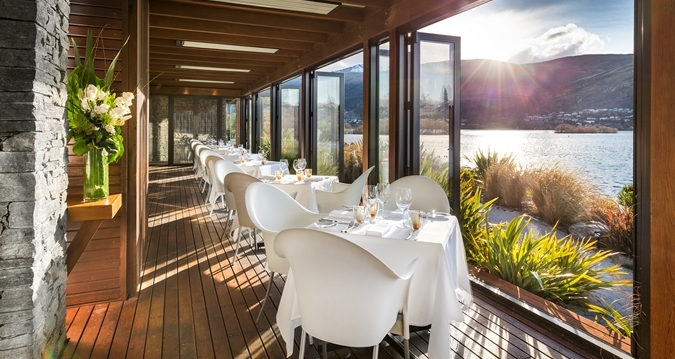 In the bar, be tempted by yet another captivating perspective of the lake, or an exceptional vintage - the 1000-strong wine cellar has a keen focus on Otago's best winemakers. Linger on the generous terrace where the elements combine to spectacular effect: the lake's indigo depths, the clear air and a decadent outdoor fire pit. We had a great meal with an awesome view as we sat right in the window looking over the lake. Dishes were well put together and the amuse-bouche was a nice touch. Great service from the start and beautiful views. Food was beautifully presented and delicious! Draughty in the glassed area - asked to be moved eventually but enjoyed our evening with you. Lovely setting and great food. Thanks for a wonderful "date night". Beautiful dinner - the cerviche entree a standout. Bar service by the lovely Canadian girl great and amazing attention and service from Matt the Manager, thanks for a lovely night. Lovely place to spend an afternoon tea. View is awesome! Loved the little extras a real surprise awesome food,service couldn’t fault it would certainly recommend will be back won’t leave it so long !! Wonderful service, views and food! The high tea is surprisingly filling and beautiful presented. Had a wonderful time and would definitely come back again. Seating was slow, thought we were invisible until mgt came over to discuss menu, water sat empty at least 4 times, wine glass empty for too long, main finally came after long wait and sides were not warm had to be sent back. Food was good, people were friendly when they did talk to you but I heard "I'm Sorry" about a dozen times. I'm sorry for the poor service review but I would expect more from a venue and prices here. Was fantastic and food was delicious. Beautiful meal, beautifully presented in a superb location! We have previously been for dinner and always have a great experience. However we were really disappointed with the high tea. We feel that it was very overpriced for what it was. We have had a number of high tea afternoons at various other places and this was not the best, however was one of the most expensive. We weren't provided with any sort of drinks menu so weren't even sure which tea's were available. This is also the only place we have been where the children paid the same amount as an adult, which made it very pricey. Fantastic attentive service. Pre dinner drinks around the Pinot Pit outside and then escorted to our table overlooking the lake. I don't think there is a restaurant anywhere else where we could feel we were that close to lakeside. The food and service was impeccable and presentation beautiful. Can't wait to go back again. Beautiful meal selection and meal. Service was excellent and a beautiful outlook. We look forward to return. Thoroughly enjoyable dining experience. Excellent dinning experience, one of the better for sometime. Fantastic setting, great way to celebrate a milestone birthday, Cheers Lindsay. 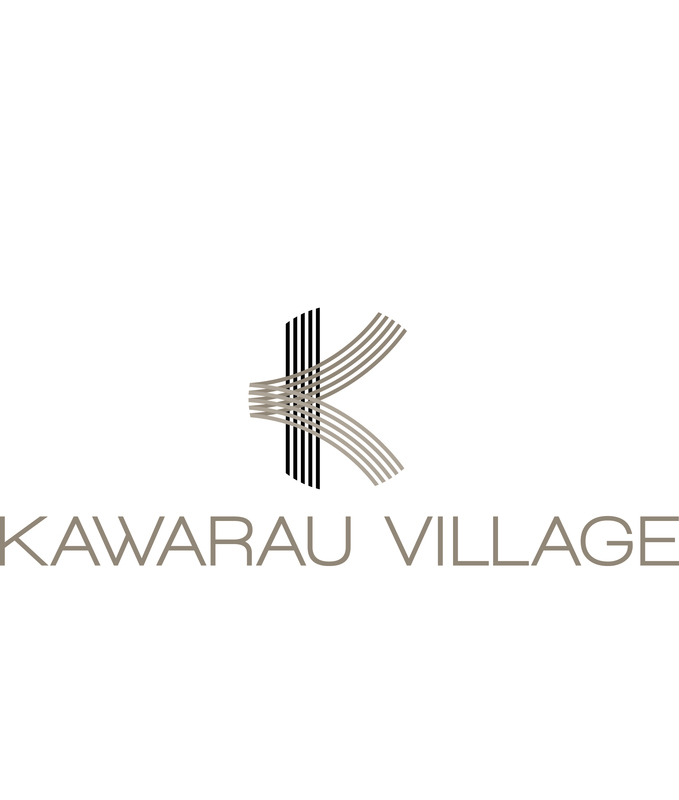 The restaurant manager, Mr. Matt was very kind and friendly in helping me to plan a surprise for my partner. Their Braeburn Apple desserts is definitely of award-winning quality and a MUST TRY ! Our waiter, Mr. Iran was very helpful and attentive as well and he makes good drinks too! Kudos to the team of Wakatipu Grill and a million thanks for being so generous in celebrating my partner's birthday. Great food served with originality in flavours and presentation.